I have a good husband for holidays. That is- he is very thoughtful. He puts a lot of work in to making holidays special, and I am super grateful for that. I am the type that would like to forgo all holidays in general. I know, call me scrooge, but I just think they are ridiculous. All thought up as a way to fuel the economy, and make people buy more stuff. And while the idea is nice, it usually ends up creating far more stress than it's worth- with people's expectations being sky high, and then being unmet. OK...I know- I do sound like scrooge. Aside from that grumbling, I have to say I enjoyed "My Day". It began with Gavin waking up in the morning with the baby, and letting me sleep in (THANK YOU...best day already!) Then I got breakfast in bed (buttermilk waffles with strawberries, Nutella and REAL maple syrup) served and then partially consumed by Shelby, As I ate, I opened beautiful art from the kids (clay pots painted with help from Dad, projects from school, and lovely cards with Shelby's new writing and drawing skills!). I then went and got a REEALLY good massage from my new amazing masseuse for an hour and a half (I am now a huge fan of being fully clothed while being massaged! You are so much more relaxed, and the options are much broader without that stupid sheet sliding around). Next, we headed to REI, where I got my Mother's Day gift- a new bike! I had had my old bike since I was a teenager, and it was time for an upgrade! The kids behaved fairly well. I only had to separate them and make them sit on the benches about ten times. Shelby at one point was free-climbing their rock wall, and was upset that I wouldn't let her scale to the top. That place is far less fun with kids I have decided. 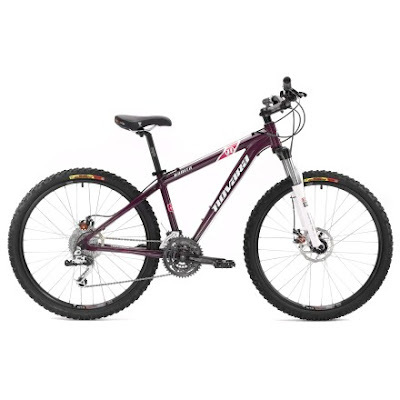 Shelby helped me pick out a purple and pink bike (far too girly for me, but I am planning to toughen it up a bit with some proper gashes, and State Park stickers) with F4 components and front shocks..whatever that means! All I know is that I have visions of me with my little ducklings, all in a row, riding to the neighborhood bookstore- King's English, and then to the local market- Emigration, followed by a stop to the local snow cone shack, and finishing up at our local park. I got a nifty little basket for the front, to hold library books and fresh baked scones from Pinion's cafe. The baby's seat is getting put on this new bike...and pretty soon we will be a cruisin family. I must admit that I also have dreams about heading in to the foothills above my house with some friends, and having an exhilarating ride while I connect with nature and bond with feminine energy. In this dream, Indigo Girls are playing, and we all have dreads and long armpit hair. But that's beside the point . 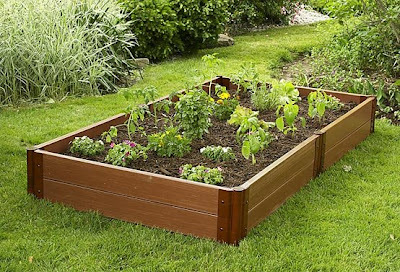 After REI, we chilled, and planted our little raised veggie garden. So much fun to be up to my elbows in dirt with the kids! 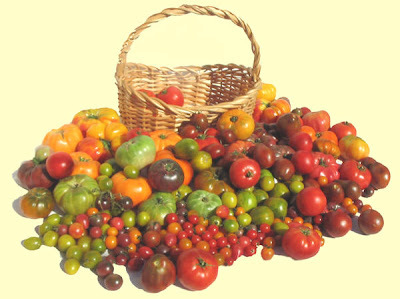 I had picked out WAY too many heirloom tomatoes, which we planted along side strawberries, sugar snap peas, cucumbers, and raspberries. I also bought a gooseberry bush that I still need to plant. Gavin couldn't believe that such a thing actually existed. He thought it sounded like a "Shnauzberry" from Willy Wanka. But I have fond childhood memories of those little berries. The bush is so generous. And the berries are so sweet. There are no seeds to mess with...just delightfully easy berry picking for kids. I am imagining my kids raiding this bush in the summers to come, their cheeks bursting with the golden little gems. So, after we'd planted every inch possible, we went to my Grandma's to say "Happy Mother's Day". That lasted all of about 15 minutes seeing as her place looked like a cross between a mortuary and a Lladro store. And of course they were ALL at Garrett's level. He especially loved walking around with my Grandmother's broom, swinging it every which way. After my Grandmother's heart rate returned to something slower than a hummingbird's, we gave hugs and kisses and left. But not before Shelby put on a harmonica show for Grandma. It's her new favorite thing...you blow and sound comes out- genius! On the way home, we picked up the sausage bolognese, that Gavin had ordered from Trio. We had a good, sunny, peaceful dinner that was made even sweeter by the lack of dishes and the ice cream that had been picked up the night before that was awaiting us in the freezer. There was jump-roping with the neighbors on the sidewalks, bedtimes for the little ones, and snuggles on the couch for the grown-ups while we busted a gut, watching all of our favorite Tivoed shows. So, what made this different than every other day? Well, breakfast in bed is a treat for sure, and presents are nice. But honestly, it really was NOT that different than every other day...and THAT is why I loved it. Because I really do enjoy my life. I enjoy my children. I feel blessed to be their mother. I am grateful to share the journey with Gavin. And most of the time I really am quite content. So I told my kids this. And I told them that I was going to work really hard this year to be a better Mother. On this Mother's Day I promised that I would work on being more patient, always using a nice voice, and having tons of candy in the house all the time. They seemed pretty jazzed. Of course, when I told Shelby it was time for bed, she reminded me that I needed to "keep my Mother's Day promise" which I guess she had interpreted with a "No bedtime clause" as well. And that was my day. Lovely. great day!! I am so glad you are enjoying the finer things in life and not letting them pass you by. keep enjoying. Love you.